In Europe, skiing has a rich history and tradition. Ski towns in the Alps are prolific, and before modern transportation, access from ski area to ski area was tricky. One of the most legendary town-to-town treks is called the Haute Route. Specifically, this epic goes from Chamonix, France to Zermatt, Switzerland across 180km (111 miles) and spans roughly 7 days. Believe it or not our region has it’s own little ‘Haute Route’ that spans 3 ski areas . 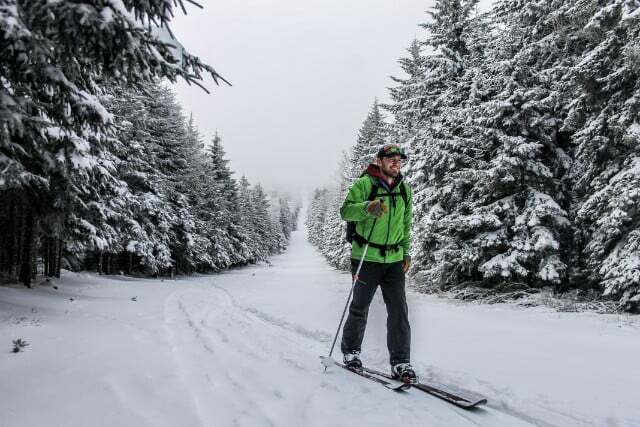 . . Canaan Valley State Park, Whitegrass Ski Touring Center, and Timberline Four Seasons. 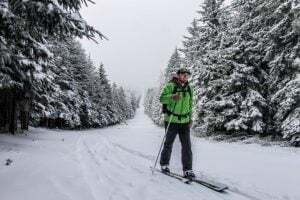 Here are the ROUGH basics: Breakfast and then take the ski lift up Canaan Valley, trek over on ‘Pipeline’ to Whitegrass Ski Touring center. Pit stop at Whitegrass, where lunch is available. Continue onward toward Timberline. Finish off by getting some glory runs and a meal at Timberline. 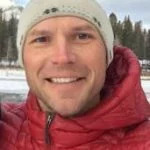 Justin Harris of Canaan Valley is embarking on ‘Canaan to White Grass’ so be sure to check out his adventure. Certainly on my bucket list! Evolution is closed for a park build this week. Winterplace: Holding up nicely as Winterplace is open on 25 (of 27 runs). Available to all Police, Fire Fighters, EMT & Hospital Personnel. Half Price Tuesdays for Groups: $41 (half price) Lift Ticket, Rental Equipment and a 90 Minute Group Lesson (tubing is not included). Terrain Park news: Features include knuckle, roller, small jump, A-frame box, and flat box. A little toasty, but no bother . 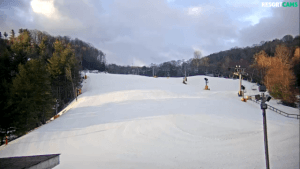 . .
Beech Mountain: 14 (of 17) runs open on a 36-74″ packed and groomed base. Wolf: 10 (of 15) runs open on a 52″ groomed base. Wisp keeps the fun going! The new details on Lower Boulder Park, “(4 Features) – 2 Boxes, 2 Hip Jumps”. 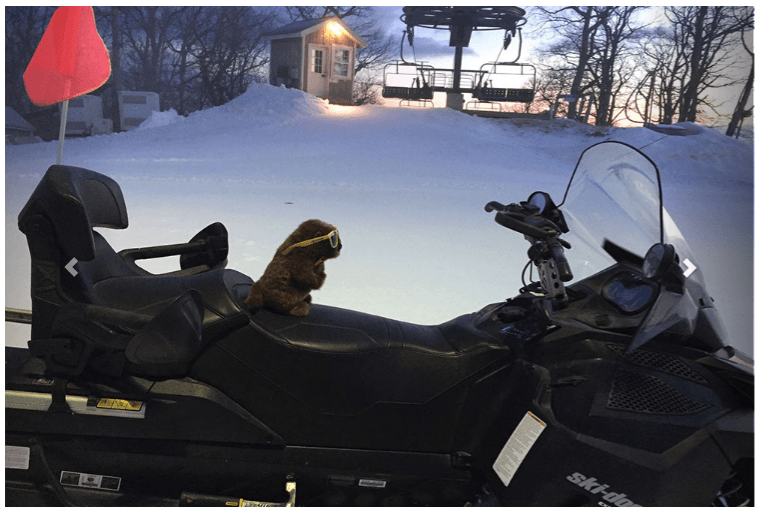 Wintergreen Will is revved up for ‘6 more weeks of winter’! Trimmed down hours on Tuesdays . . . We’ll be open 9:00 am – 5:00 pm for skiing and riding and 12:00 Pm – 8:00 pm for snow tubing. 30″ groomed / frozen granular base. Bryce: 8 (of 8) runs open until 5pm, Tuesdays. Feb 9: Ole Smoky is bringing us Live Music from the Po’ Ramblin’ Boys starting at 8pm! Previous articleRacers . . . start your engines! Next articleMassanutten Resort’s Monday Night Madness Provides a Lot of Goodness!